Daily Bikers: Who you callin' fugly? This is a guest post written by Adam aka The Experimental Ghost. Same goes for machinery, bikes specifically. Have you ever wondered what gets the juices flowing when you see a bike for the first time? Is it the colour, the shape, the frame, the sound? Sure the ¹journo's can ²wax lyrical about, horsepower, braking, handling and such things. but if the bike doesn't have "it" then all that waxing is a waste of time. I dunno what 'it" is, but I sure as hell know what "it" isn't! Once a Knight always a Knight but once a week is enough... or so the saying goes. 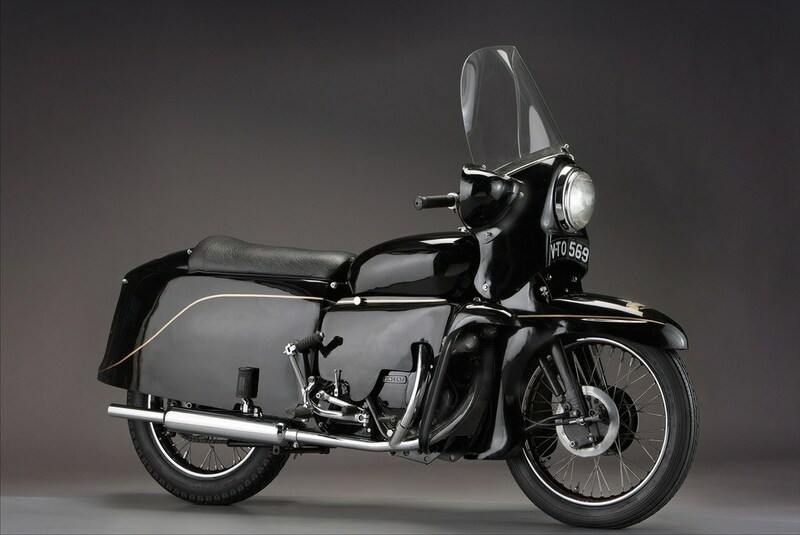 The Black Knight was made between '54 and '55, just before the Vincent factory closed in '55. It was powered by a 998cc V-Twin that made 45hp and used a 'Girdraulic' oil damped front and cantilever monoshock rear suspension system. At the time Phil Vincent described the Black Knight as a 'two-wheeled Bentley'. Perhaps in 1955 it was, but it was, and is, an unattractive bike. 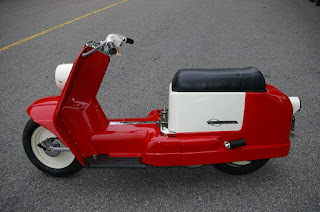 Believe it or not, Harley Davidson produced a 165cc 2 stroke scooter called the Topper. It ruled the road with a whopping 9hp and had a top speed of 75km/h (46mp/h). All this power was kept under control with front and rear 125mm (5") expanding drum brakes, leading link front suspension and a rear swing arm with two extension springs. 6000 of these bikes were produced from 1960 to 1965. 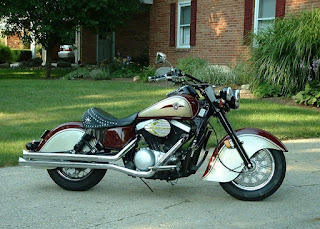 Thankfully Harley Davidson saw the error of its ways and never produced another incarnation of this abomination again. 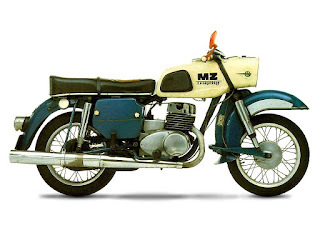 The MZ Trophy was a single cylinder 250cc, two stroke, that had gob fulls of unadulterated power compared to the Topper... Ok so it had 19hp, but it could do 120km/h (75mp/h) The styling was... well it had no styling really. What is with that front guard and is that a hair dryer stuck on the front? What can I say, these things were just ugly. Even in 1968. 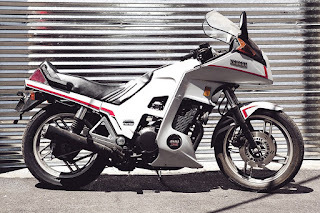 The XJ650 Turbo came out in '82 and '83. It was powered by a four stroke, four cylinder, turbocharged 2 valves per cylinder engine. Showa suspension and disc brakes front and rear kept the rough stuff under control, and ensured that the 90hp could be hauled to a stop quickly and efficiently. The bike set new standards for aerodynamics, with a full fairing and spoiler under the engine to feed cool air into the engine. Unfortunately it was u-g-l-y. 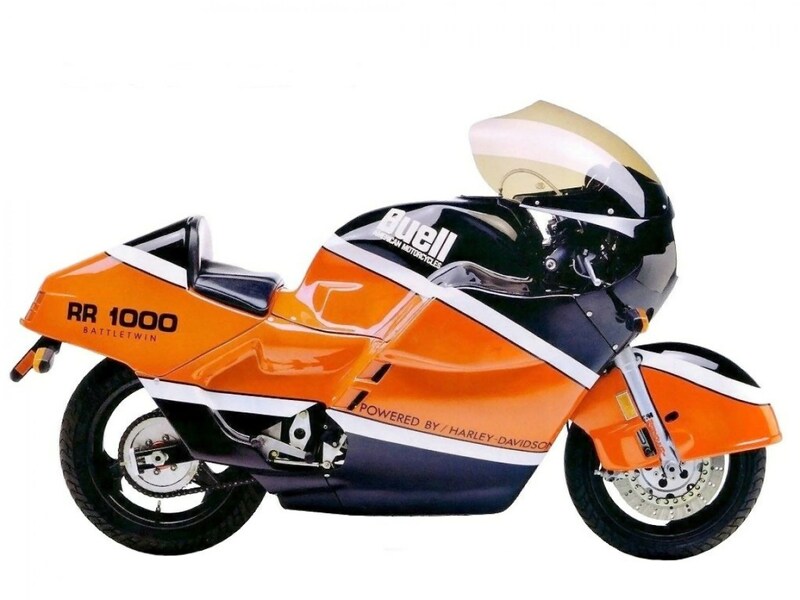 I'm not sure what Mr Buell was thinking when he designed the RR1000 Battle Twin. These bikes came out in '87. 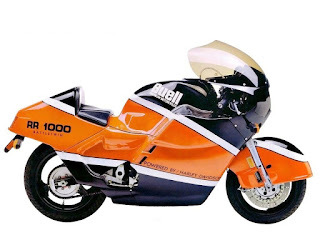 They looked good on paper, with Marzocchi MlR forks, offset monolever horizontally mounted shock, tube space frame, front floating discs, four-piston Lockheed Racing callipers, floating disc at the rear and a patented mounting system for the Harley Davidson XR1000 engine it used. But it looked like an aero-dynamic brick! These things were we made in 1988, and had a liquid cooled, single cylinder, two-stroke that boasted 27 hp @ 10500 rpm, Marzocchi suspension and a single disc brake front and rear. There were only 500 of these anniversary models produced. 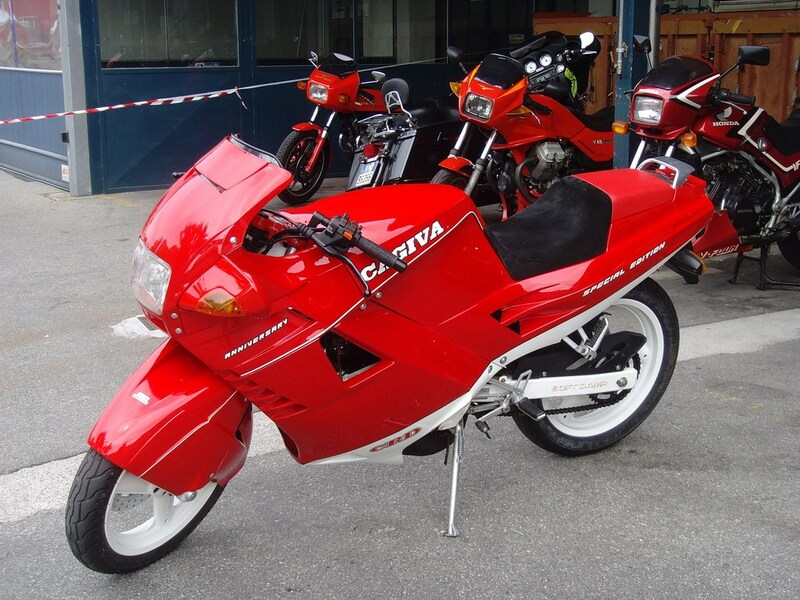 With the painted out screen dead flat tank and a guard that forgot when to stop going around the front wheel, the Cagiva Freccia looks a bit like the Ducati Paseo. That bike was ugly as well. They say that imitation is the nicest form of flattery. Unfortunately the 800 Drifters attempt to emulate the Indian Chief doesn't quite come off as well as it should have. Produced from 1999 to 2006 the Drifter had a 56hp V-Twin with twin discs up front and drum brake rear. The Uni-Trak monshock rear suspension gave the bike a hard tail look, while the guards looked more Indian than the Indian did. Don't get me wrong I like the old Indians... but I don't like this Vulcan. I can't put my finger on why though.. This entry will cause a bit of discussion... 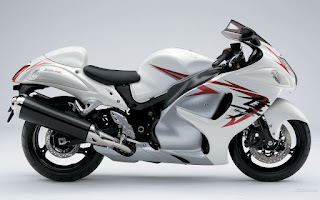 The Suzuki Hayabusa was introduced in 1999 and was billed as the fastest production bike ever made. There is debate on whether it still holds that title, or if the ZX1400 claimed it. Depends on who you talk to I guess. The specs on this bike are well documented, so I won't repeat them here. The styling however, makes the bike look pudgy. One of my neighbours owns a 'Busa and even he refers to it as Migaloo. For those that don't know, Migaloo is Australia ís famous white humpback whale who traverses the east coast each year. Migaloo is believed to be the only white humpback in the world. That is not completely true though, there are heaps of white whales around. They are all called Hayabusa. 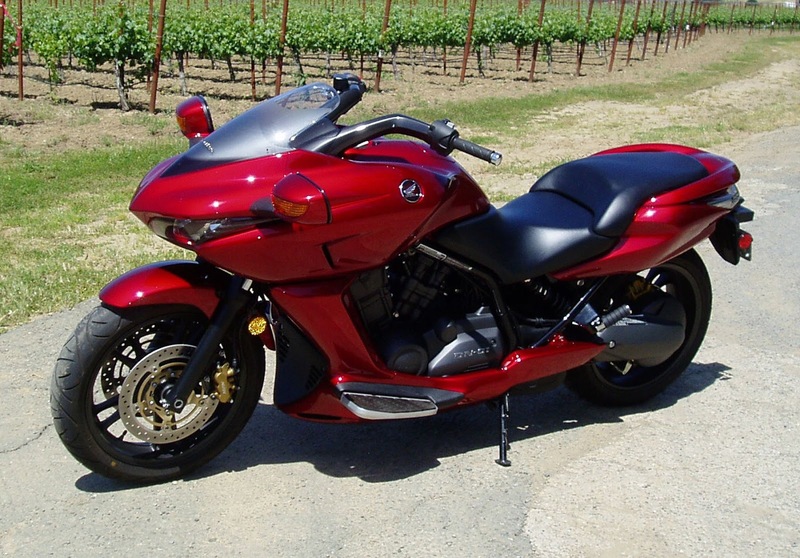 Billed as a cruiser, the DN-01 first appeared in 2008 and came with a 680cc engine, automatic and ABS. These bikes were uncomfortable, lacked wind protection and had little or no storage space. To top it off, its load capacity was only 147kg (324lbs) so if you and/or your partner were a bit portly. It struggled. Calling these things ugly is perhaps apt, but a bit cruel. I think phallic is more appropriate. Honda spared us any more trauma with the DN-01, discontinuing it in 2010, only to debut the NM4 at the April 2014 Tokyo Motor Show. 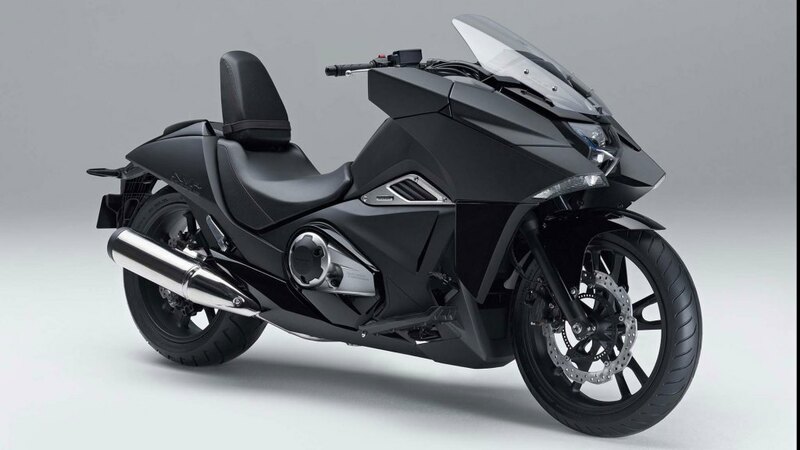 The NM4 appeared on the US market in June the same year, and is a feet forwards power cruiser with a 670cc parallel twin, automatic transmission, and according to Honda "a stylish, massive front end". The adversing blurb on the Honda website reads "EXIT THE NORM. ENTER THE NM4". I don't know who this Norm bloke is, but maybe he should consider coming back and sorting this out this ³technicolor yawn. So there you have it, my take on some of the worlds ugliest bikes ever produced. Yep I know that some of these are sought after, and are valuable as collectors items in today's market. But they're still ugly.